Around the world, those who know the short and long history of automobiles know that the names Ferrari and Chinetti are inseparable. It is almost certain that the iconic Italian automotive company would never have come into being without Luigi Chinetti, the man who persuaded Enzo Ferrari, at 50 years of age, that if he built truly distinctive sports cars, wealthy Americans would buy them. Until then, Enzo Ferrari had acquired a solid reputation in racing, but the sport at that time had none of the colossal sponsorship it enjoys today. 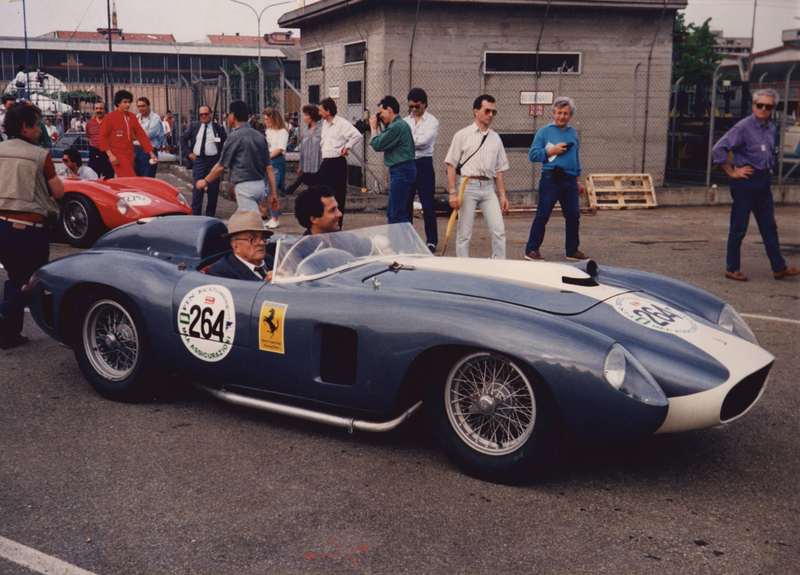 And during the first decades following the establishment in 1947 of Ferrari in Maranello, Mr. Chinetti indeed brought grist to the mill by selling enough vehicles in the United States to keep the Italian factory running. Today, Enzo and Luigi are no longer with us, but their legacy lives through their respective sons, Pietro, and Luigi Junior. 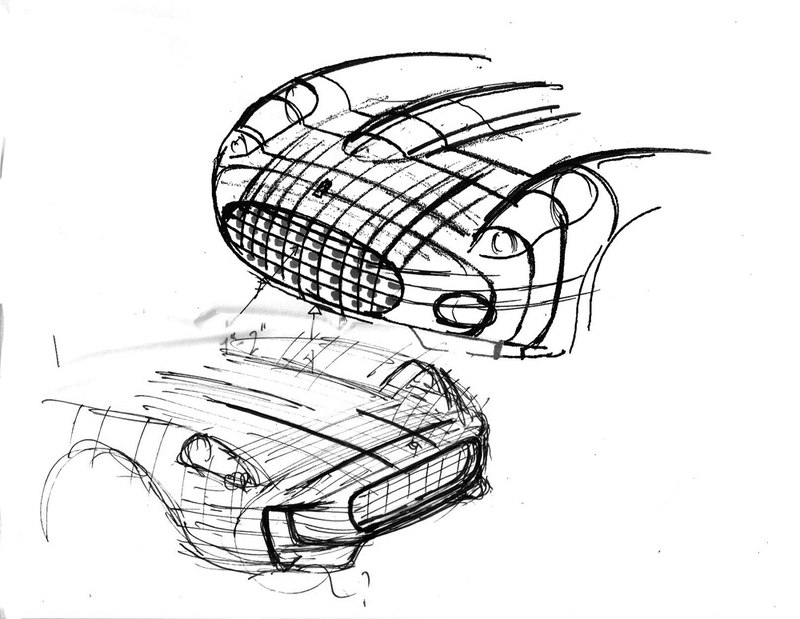 The latter, now 70 years old, remains the authority for everything related to Ferrari. His whole life has revolved around the heroes and the cars that have forged the reputation of the brand. Luigi Junior’s deep knowledge is a reflection of his enthusiasm, joie de vivre and humour; and he is a man not given to understatement. 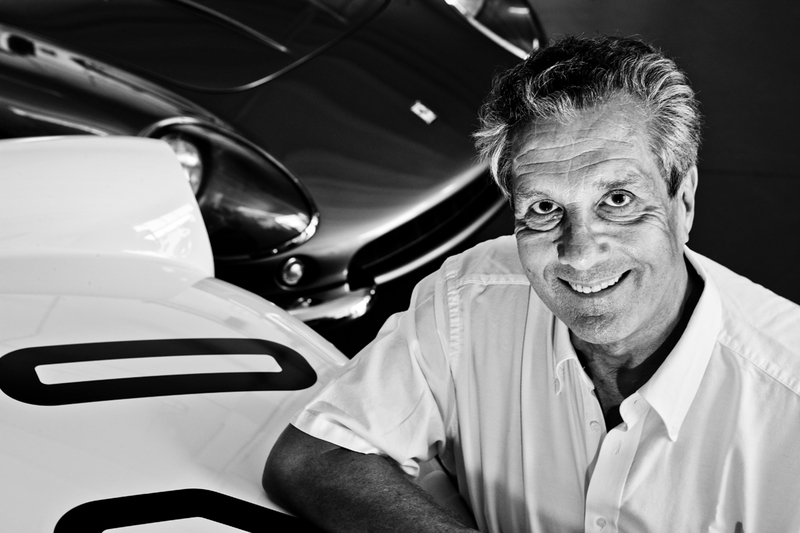 As one might expect, he has a particular passion for cars and prototypes bearing the emblem of the Prancing Horse. This enthusiasm is in no way artificial and Luigi Junior will tell you, to the chagrin of my friend Richard Petit, that the highly celebrated Daytona 365 GTB4 is nothing more than a good taxi, even if it did place fifth at the 24 Hours of Le Mans in 1971. And if the question turns to the most beautiful Ferrari ever built, he replies with quick wit, “the next one”. Clearly the passion lives on. 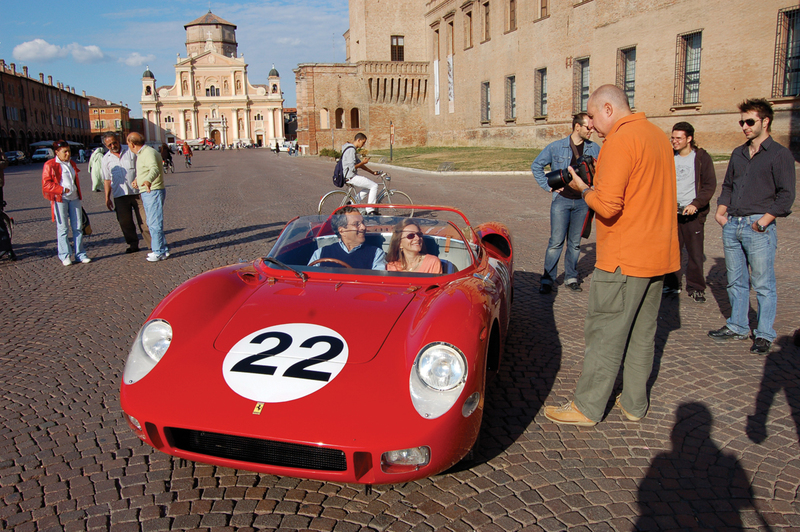 From a young age, Luigi Junior has been immersed in the world of Ferrari and he has done it all. How I met Luigi Chinetti Junior is another comical anecdote. 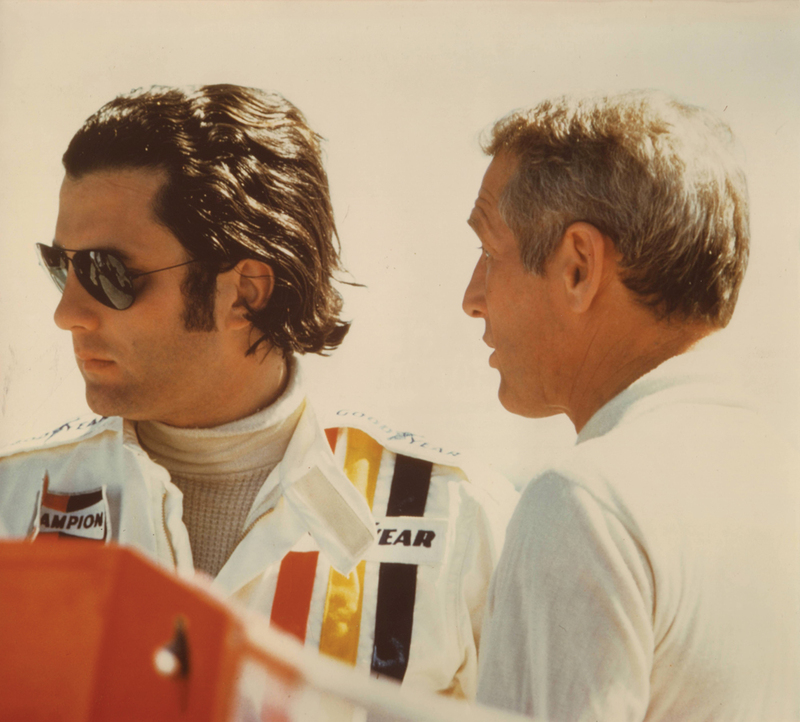 It happened behind the wheel of a car at two o’clock in the morning at more than 250 km/h, he in a Ferrari and me in a Porsche during the 1971 24 Hours of Daytona. We brawled on the track, him running like a rocket, pulling ahead on the straights, and me passing in the turns. This little game was repeated lap after lap, until finally we both raised a hand in salute. And that was my first encounter with Luigi Chinetti Junior. We saw each other again many times including a few times at the Circuit Mont-Tremblant, where, on his first visit, he saw his magnificent 250P prototype go up in smoke after driving through spreading flames from a car on fire which he could not avoid. Seems that his father, from whom he had borrowed the racecar without permission, was not overjoyed to see the lad on his return to New York. Since then, the man nicknamed ‘Coco’, has hardly aged, his comportment like that of a young man. He is currently working to restore these famous Ferraris, having been part of NART (North American Racing Team) between 1958 and 1982, and also designing prototypes again, notably with the first Ferrari line, based on the Daytona. 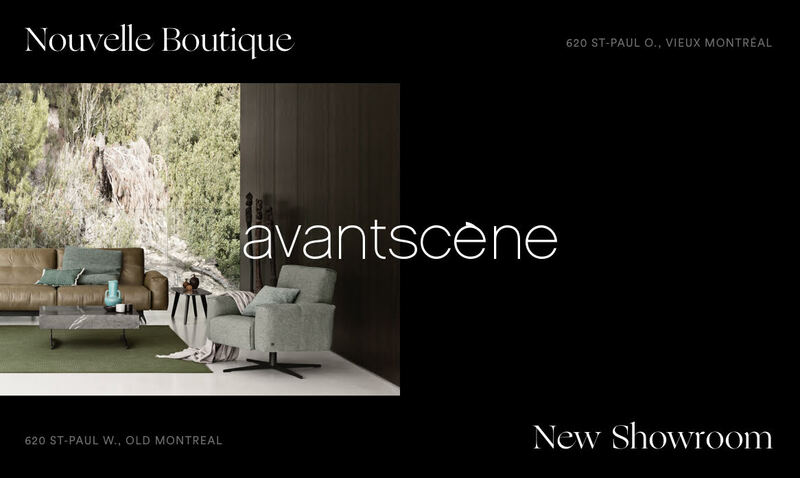 On a personal level, he has started a new life in Québec in the Gatineau region, where he lives with his wife Jacqueline, a Quebecer with whom he shares his passion for Ferrari. 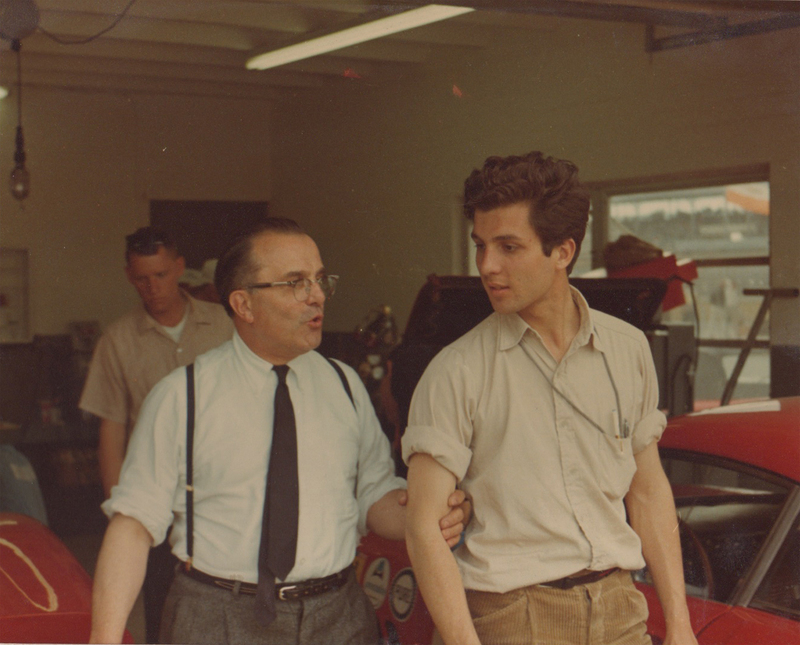 Luigi Chinetti Jr. with his father in 1960. The Chinettis, father and son, in front of the 166 Barchetta, marking the third victory of this model in 1949. 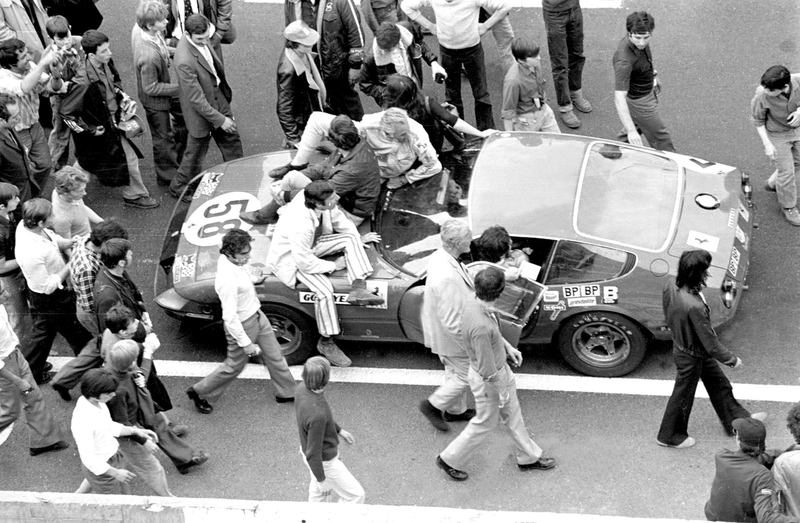 Celebration after being awarded fifth place overall, and a class win for Luigi Chinetti Jr. during the 24 Hours of Le Mans in 1971. 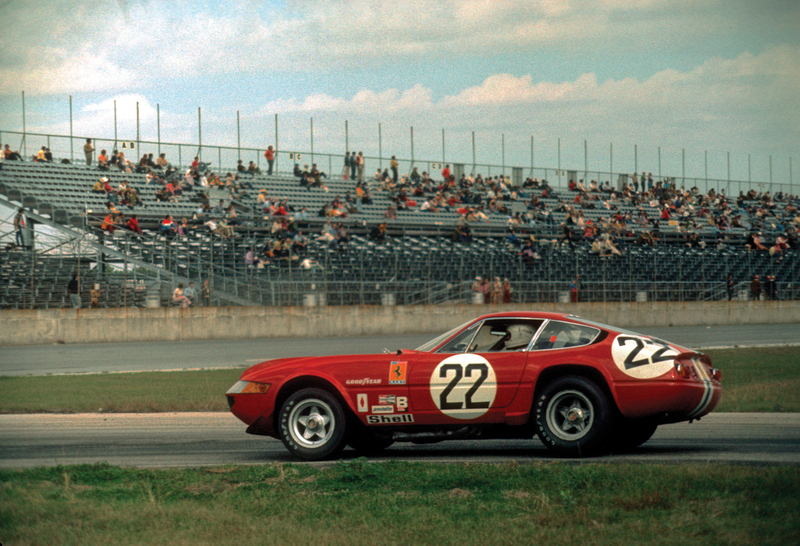 The beautiful Ferrari Daytona on the circuit, to which Daytona Beach, Florida owes its name. 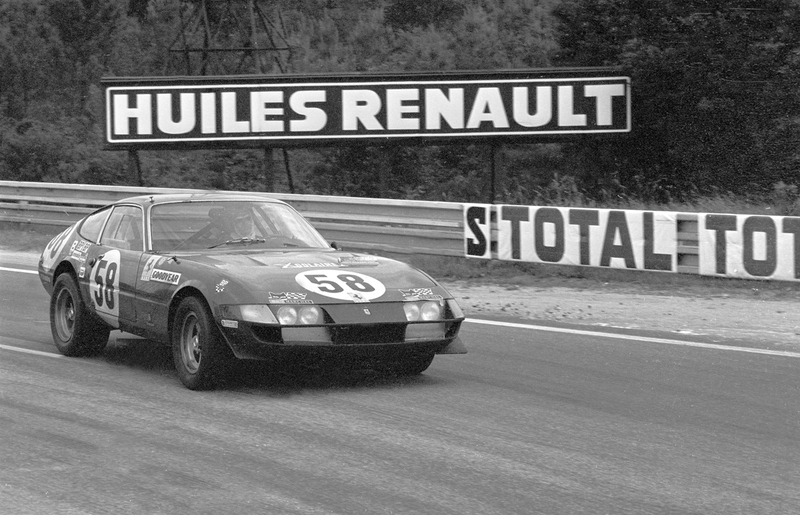 Always driving the Daytona, this time during the 24 Hours of Le Mans in the early 70s. 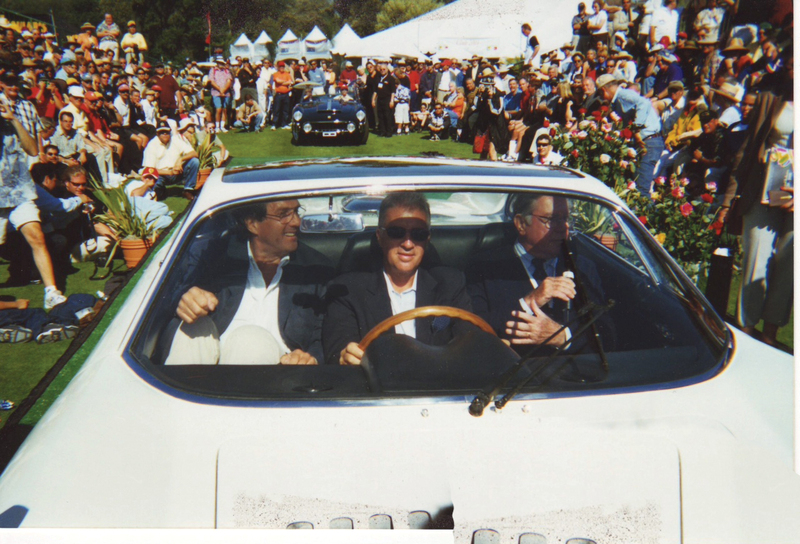 Three famous sons: Luigi Chinetti, Piero Ferrari, Sergio Pininfarina, in the Posti prototype (3 seats) in Pebble Beach, California. 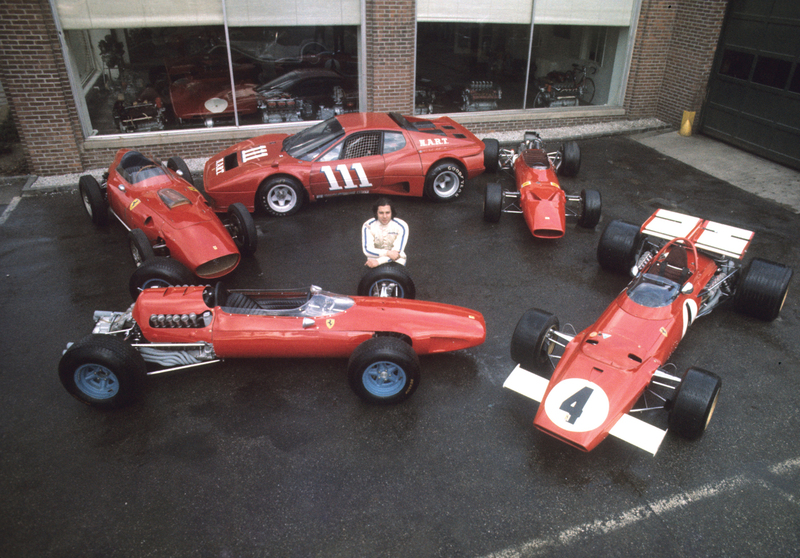 The inventory at Chinetti Motors circa 1970: 4 single-seaters and a GT for racing. In 1975, on the sands of Bonneville in the U.S., Luigi Chinetti breaks a world record for speed in his class. On the right, the late Paul Newman. 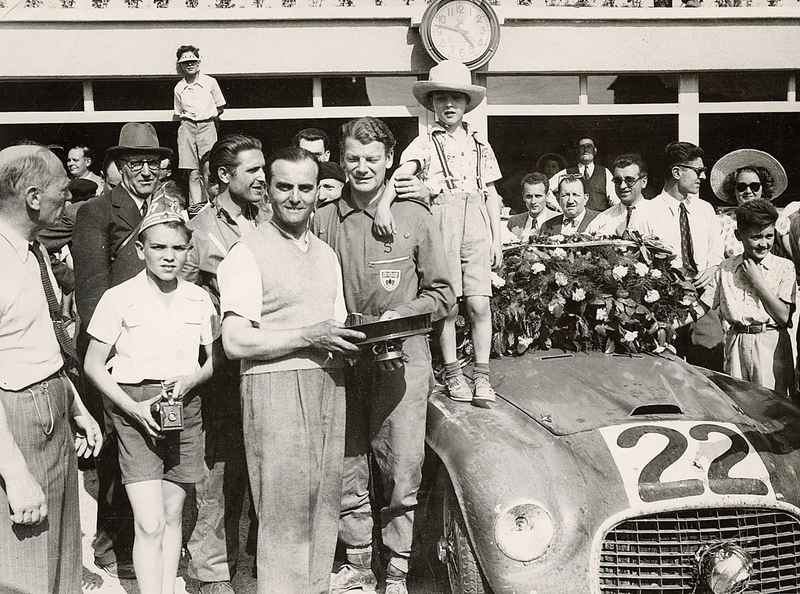 Chinetti, father and son, with the Ferrari 290 MM, winning racecar during the 1950 Mille Miglia. Luigi and Jacqueline in Capri, Italy during the first release of the Ferrari 275P 0812 after a long restoration. Anna Maria Parisi and Giuseppe Vendetti Make way for Italy !